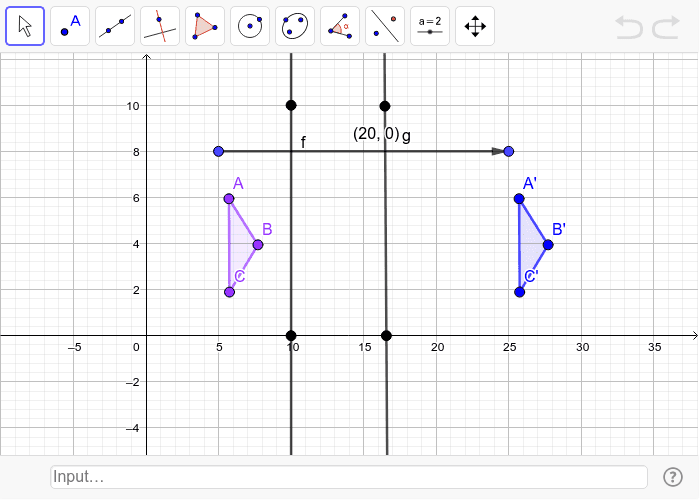 In the following worksheet, I have rotated triangle(ABC) about point D counterclockwise. This time the lines of reflection were not parallel. - Using your rules of rotation, what angle did I rotate triangle(ABC) to get triangle(A'B'C')? - Reflect triangle(ABC) over line f. - Now reflect the image from the previous reflection over line g. - Rotate line g (by moving point F) so that triangle(GHI) maps back onto triangle(ABC). What is the relationship between lines f and g? 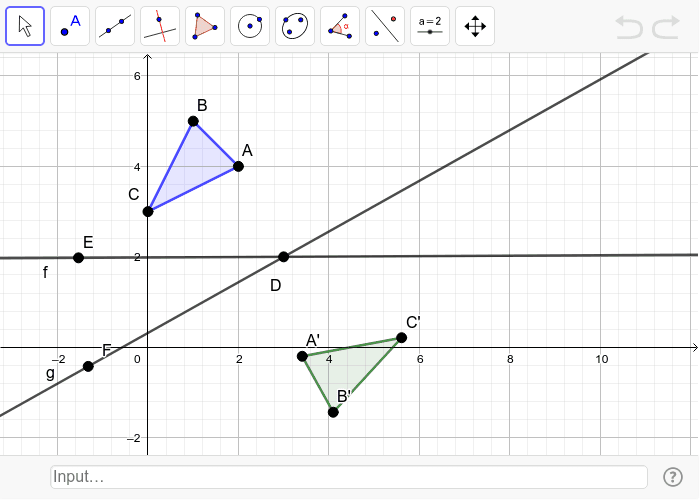 - Now rotate the line g so that the image after two reflections maps to triangle(A'B'C'). Find the angle between lines f and g. How does that relate to the angle of rotation from triangle(ABC) to triangle(A'B'C')? - What is the relationship between the point of rotation and the intersection of lines f and g?